This dynamic 5 day scoped precision rifle course is designed to train Police, Military, & select/cleared civilians in Sniper/ Marksman Observer skills and operations. It will enhance their ability to respond to Critical Incidents including criminal/terrorist acts. This is physically & mentally challenging training combining elements of Field craft (urban and rural), Observational Skills, and Marksmanship. Applications include: High risk warrants, Active Shooters, Hostage situations Barricaded Subjects, Narcotics/Meth raids, VIP protection, surveillance, etc. The course requires full participation and the successful completion of three separate qualifications before 50 Hrs of Missouri POST credit is awarded. 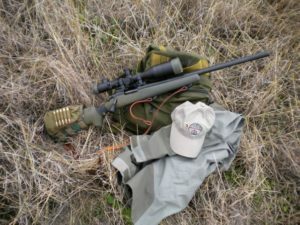 The goal is mastery of your rifle and scope – every tick and notch – to be ready to rapidly and accurately send controlled fire at any range under almost any condition. We do not stop because of wind or weather (ask our grads) and problems to be solved exist at ranges from 7 to 700 yards. Six states, seven Municipalities, twelve County Sheriff’s in four states have all used the PMO Course to train and certify their LE Marksman/Observers. 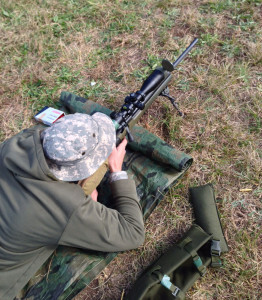 Nine federal contract companies, dozens of Active duty Army and Marines, and several patriotic legally armed civilians have tested their equipment and built better rifle shooting skills. All were trained and prepped for actual operations, then added in their own talent and sweat. Zero graduated that did not make the grade. . . .That’s our Analysis and that’s our middle name. This is a new offering, a one day Hunting Rifle tune-up class. Covers the fundamentals of precision rifle shooting and teaches Practical Marksmanship and shooting positions to help bag the big one and stop missing them! Not benchrest or “tactical” rifle, but your gun, sights, and ammo. POST approved classes, or personally tailored analysis.